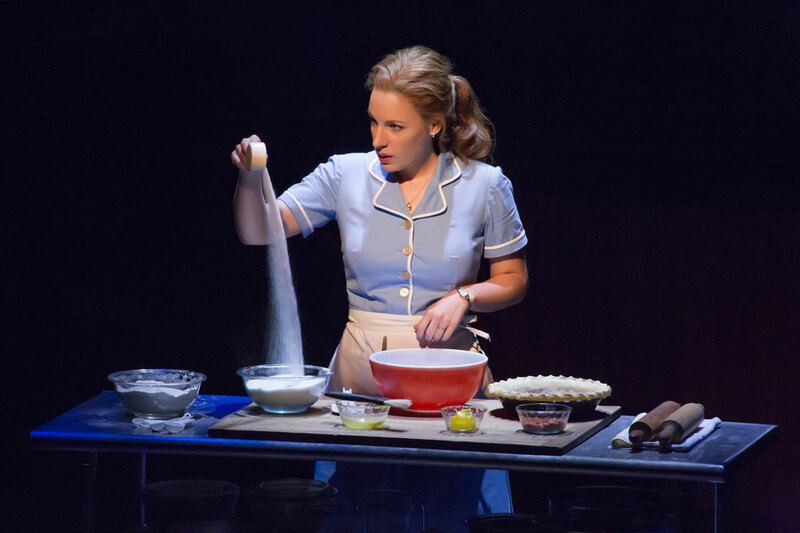 Destined to be a smash hit, Waitress is just about the most fun an adult audience can have at the theatre. 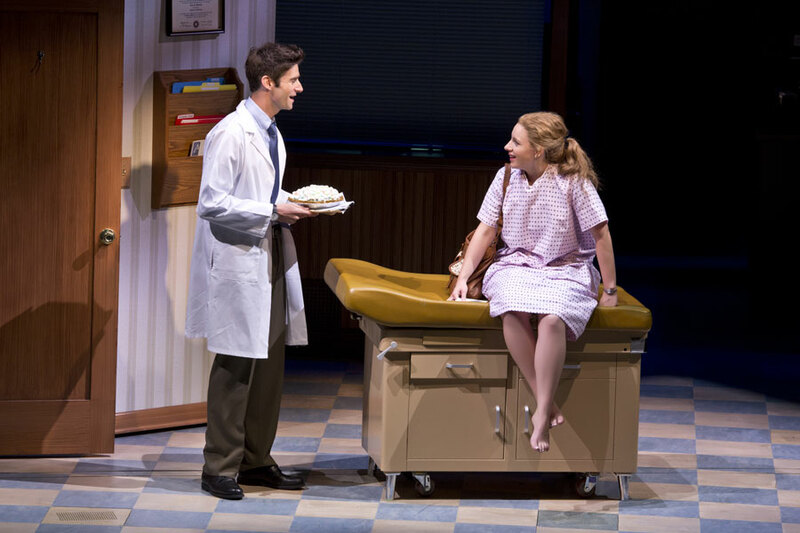 Based on the 2007 movie written by Adrienne Shelly, Waitress focuses on the struggles and dreams of unhappily pregnant waitress Jenna. Working with her two best friends Becky and Dawn at Joe’s Diner, Jenna creates delectable, imaginatively titled pies. She craves the freedom that winning the state pie contest would bring. The success of the new musical can primarily be attributed to three supremely talented women working at the height of their powers. 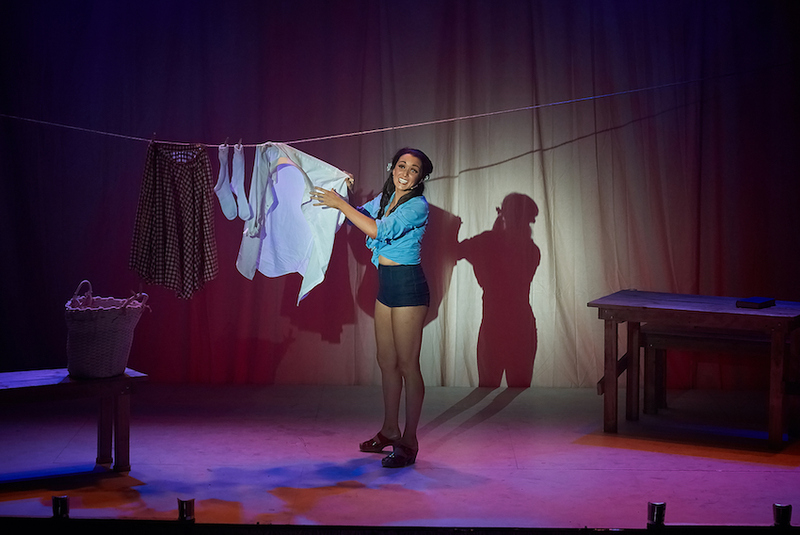 After delivering three acclaimed revivals to Broadway, director Diane Paulus finally helms a new work, and her class, vision and imagination are stamped all over the project. 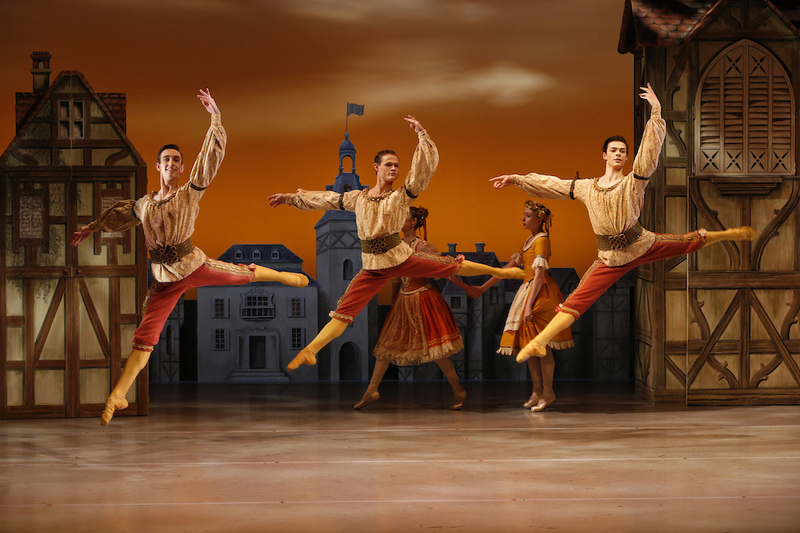 In a show filled with heart, a set of highly engaging characters is clearly established with swift, clean strokes. Paulus deftly balances daffy humour and moving pathos, achieving a shared, easygoing vibe between leads, ensemble and band members alike. Revered songwriter Sara Bareilles proves a natural fit for music theatre, penning a beautiful series of songs from the heart. Far from having the usual Broadway belting sound, the gentle songs are nonetheless theatrical and sweetly hummable. For good measure, there are a couple of comic beauties in there as well. 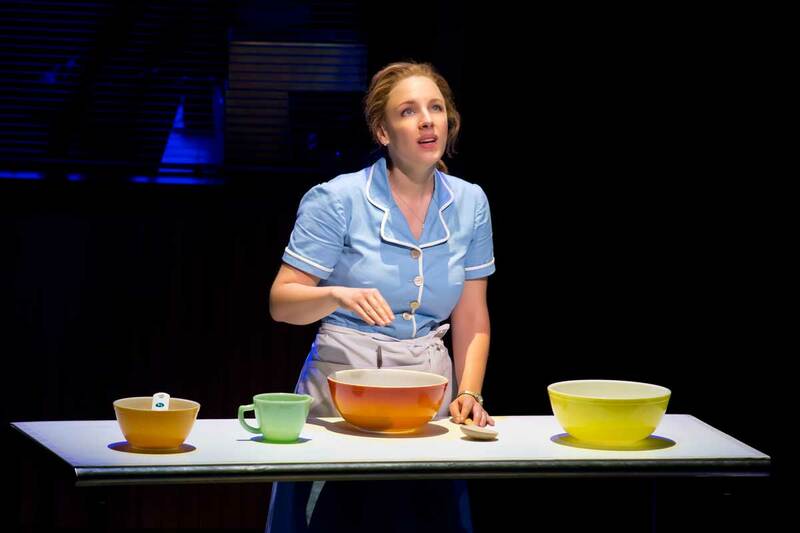 Tony Award winner Jessie Mueller has quickly become a major drawcard, and to see her originate a role so perfectly suited to her talents is a joy and is sure to win her further legions of fans. Mueller softly croons in the Bareilles style, singing with incredible sweetness. Nailing the massive role, Mueller is particularly successful at conveying the jangling nerves that relentlessly eat away at Jenna from the inside. 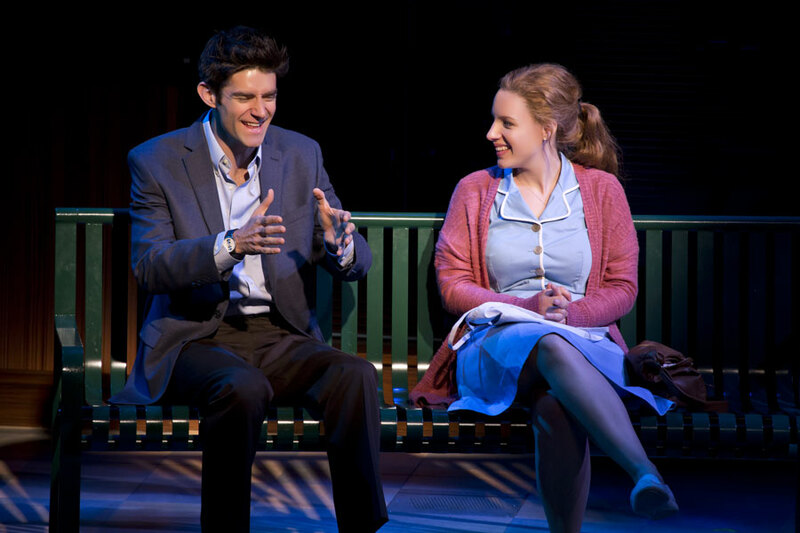 Mueller enjoys terrific chemistry with her co-star Drew Gehling, who plays Jenna’s new gynecologist, Dr Pomatter. Kissing on stage can be a corny affair, but Mueller and Gehling create wild sparks of lightning portraying the erupting passion of the pair of lovers. Gehling also impresses with a distinctive high singing voice that he controls exquisitely. The cool band of six musicians is mostly positioned in clear sight on stage, as if they are actually in the diner. Between songs, the musicians sometimes sit in booths, portraying customers having a coffee. Keala Settle confidently plays staunch survivor Becky and Kimiko Glenn is a hoot as blossoming lover Dawn. While the trio of waitresses begins the show unlucky in love, the act two sequence showing each with their partner is outrageously hilarious. Dawn’s new love Ogie is played by comic actor extraordinaire Christopher Fitzgerald. Combining magic, line dancing, opera, gymnastics and more, Ogie’s profession of love, “Never Getting Rid of Me” stops the show so thoroughly that the main plot practically needs a reboot immediately afterwards. Rising star Nick Cordero plays the thankless role of Jenna’s lowlife husband Earl, a character that, like the others, is kept well clear of simplistic caricature. Veteran character actor Dakin Matthews rounds out the lead cast as cantankerous customer, and business owner, Joe. 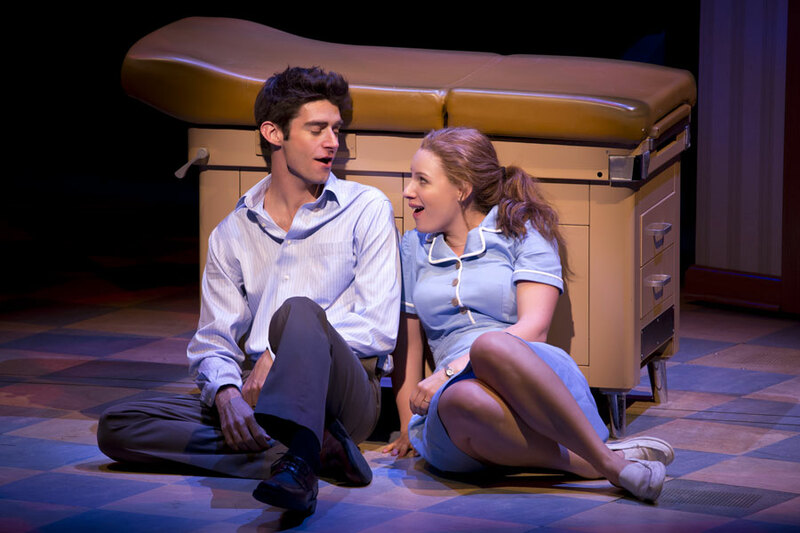 Waitress is a unique piece of music theatre and a special experience to enjoy. 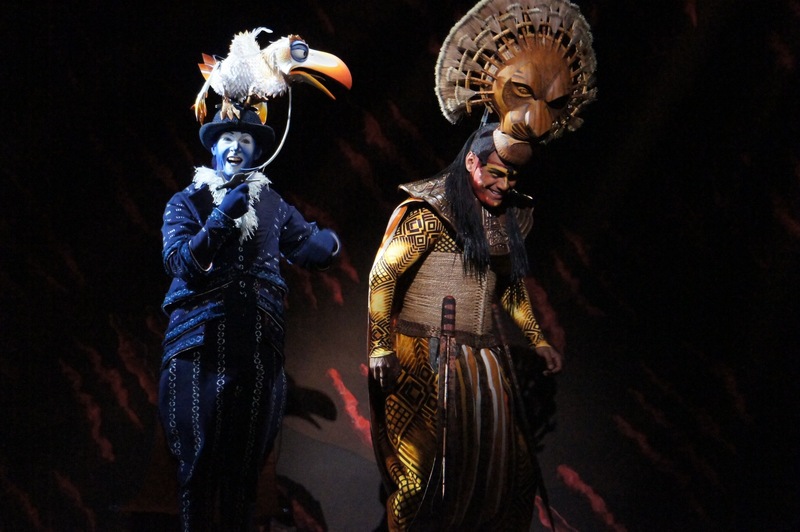 The cast recording is eagerly anticipated. 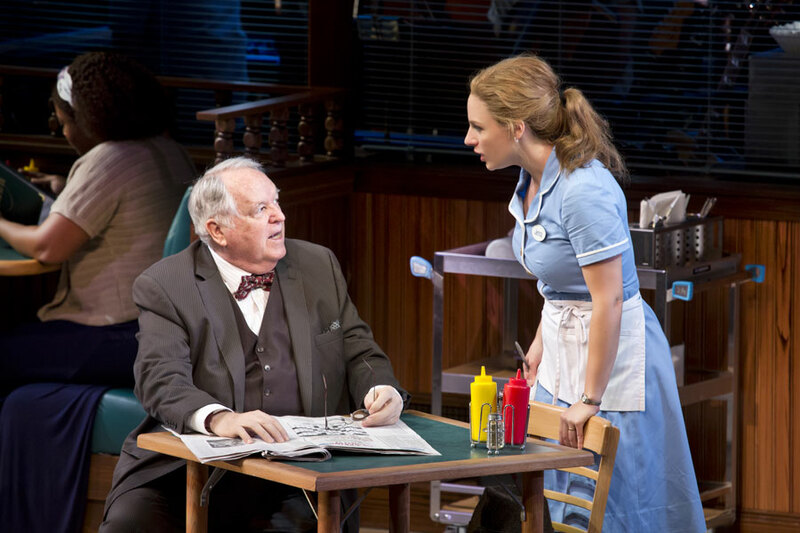 Waitress was reviewed 8pm Saturday 2 April 2016 at Brooks Atkinson Theatre, New York where it opens 24 April 2016.